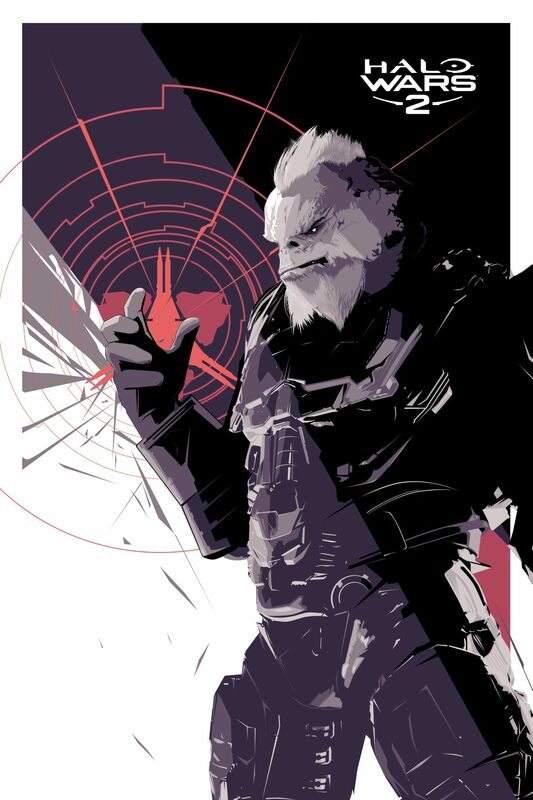 To mark the launch of Halo Wars 2, Xbox and 343 Industries have partnered with three famed artists to capture the memorable characters of Halo Wars 2 and we can exclusive premiere two pieces from artist Craig Drake depicting Isabel of the UNSC and Decimus of the game’s new enemy faction, the Banished. Craig Drake, who began his career in animation and freelance design, channels classic movie posters and modern pop-culture to bring his art deco inspired visions to life. You can see Craig’s use of sleek, sharp lines in his work for Pulp Fiction, Mad Max, Back to the Future, and most recently Disney’s Mulan. 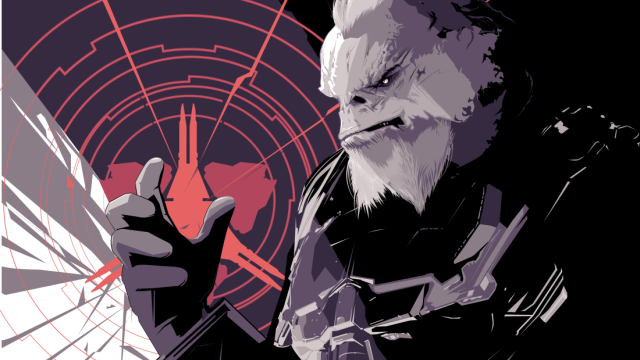 To get the art for yourself, keep an eye on the Xbox and Halo Twitter channels over the next few weeks leading up to the launch of the game to see if the Halo Wars 2 original art is popping up in your city and to learn how to snag a limited-edition print or full set of all six posters in the series! Halo Wars 2, the sequel to the best-selling console real-time strategy game of all time, is an action-packed RTS on the biggest Halo battlefield ever. Get ready to lead armies of Spartans and other Halo fighting forces like Warthogs, Scorpions, and exciting new units in a brutal war against a terrifying new enemy, The Banished. In this long-awaited sequel to the acclaimed Halo Wars, a new enemy threatens the Halo universe and the only thing standing between Armageddon and humanity is the brave crew on board the Spirit of Fire. Halo Wars 2 returns fans worldwide to the role of commander throughout an incredible campaign featuring the biggest battles in Halo history. In addition to the epic campaign, Halo Wars 2 comes packed with competitive and cooperative multiplayer modes built specifically for a wide range of new and veteran gamers. Halo Wars 2 also marks a new frontier for Halo strategy gaming on Windows 10 PC with special features designed just for PC gamers. Through Xbox Play Anywhere, the Xbox One and Windows 10 version of Halo Wars 2 are included with a single digital purchase, at no additional cost.Whether you want to lead your army from your desk or your sofa, with a mouse and keyboard or controller in your hands, it’s time to hit the battlefield with Halo Wars 2. Halo Wars 2 will be available on February 21.